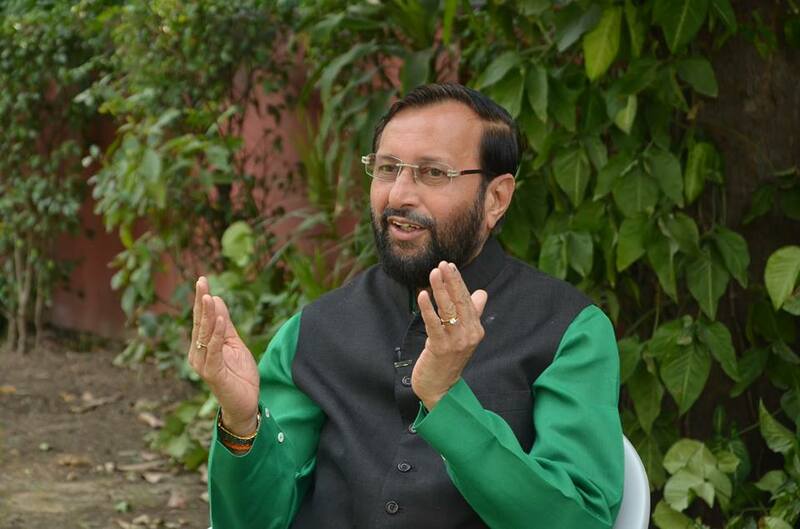 New Delhi – Two days after the University Grants Commission (UGC) wrote to the vice chancellors of all the universities to observe Surgical Strike Day on September 28, Union HRD minister Prakash Javdekar on Friday said that it is not compulsory to celebrate the Day. He said that there is no politics in this matter and it is related to patriotism. The government had announced on September 29, 2016, that it had conducted the surgical strike. “It has been a matter of serious concern that there has been continuing and increasing infiltration by terrorists across Line of Control in Jammu and Kashmir. This is reflected, amongst others, in the terrorist attacks on 11 and 18 September 16 in Punch and Uri respectively. Almost 20 infiltration attempts have also been foiled by the Army at or close to the Line of Control during this year. During these terrorist attacks and infiltration attempts, we have recovered various stores including GPS and items that clearly indicate their origins in Pakistan. Furthermore, captured terrorists hailing from Pakistan or Pakistan Occupied Kashmir have confessed to their training and arming in Pakistan or territory under its control. The matter had been taken up at highest diplomatic levels and through military channels. India has also offered consular access to these apprehended terrorists for Pakistan to verify their confessions. Furthermore, we had proposed that fingerprints and DNA samples of terrorists killed in Punch and Uri could be made available to Pakistan for investigation. Despite our persistent urging that Pakistan respect its January 2004 commitment for not allowing its soil or territory under its control to be used for terrorism against India, there has been no let up in infiltration and terrorist actions from across the Line of Control. If damage was limited, this was primarily due to the efforts of our soldiers deployed in our multi-tiered counter-infiltration grid that has been effective in neutralizing infiltrating terrorists. The Indian Armed Forces have been extremely vigilant in the face of this continuing threat. Based on receiving specific and credible inputs that some terrorist teams had positioned themselves at launch pads along Line of Control to carryout infiltration and conduct terrorist strikes inside Jammu and Kashmir and in various metros in other states, the Indian Army conducted surgical strikes at several of these launch pads to pre-empt infiltration by terrorists. The operations were focussed on ensuring that these terrorists do not succeed in their design to cause destruction and endanger the lives of our citizens. During these counter terrorist operations significant casualties were caused to terrorists and those providing support to them. The operations aimed at neutralizing terrorists have since ceased. We do not have any plans for further continuation. However, the Indian Armed Forces are fully prepared for any contingency that may arise. I have been in touch with Pakistan Army DGMO and have informed him of our actions. It is India’s intention to maintain peace and tranquillity in the region. But we cannot allow the terrorists to operate across the Line of Control with impunity and attack citizens of our country at will. In line with Pakistan’s commitment in January 2004 not to allow its soil or territory under its control to be used for attacks against India, we expect the Pakistani army to cooperate with us to erase the menace of terrorism from the region”, Indian government statement after the strike stated.